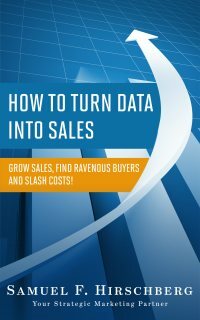 How to Turn Data Into Sales: Grow Sales, Find Ravenous Buyers and Slash Costs! How to Turn Data Into Sales is a fun, easy-to-read, page-turner that will help you do more of what works and less of what doesn’t! 4 Steps to turn your data into more sales! Enjoy this wonderful resource, and if you ever need anything along the way, the talented author is happy to help!